"It's effectively a life sentence - once someone joins a loyalist paramilitary organisation it's virtually impossible to get out," says Det Supt Bobby Singleton. He leads the Police Service of Northern Ireland's (PSNI) Paramilitary Crime Task Force, a specialist unit set up two years ago. It focuses on the activities of loyalists and the republican group the INLA, which are viewed as crime gangs. Other PSNI units and the security service MI5 deal with dissident republicans because they are viewed as a threat to national security. Almost a quarter of a century since they declared ceasefires, loyalist paramilitary groups continue to exist. They also continue to recruit. "In loyalist communities, we're talking about a significant number," says Mr Singleton. "Young people are particularly susceptible to gang-type culture and obviously here in Northern Ireland we have a particular variation on that. The Ulster Defence Association (UDA) and the Ulster Volunteer Force (UVF) remain heavily involved in a wide range of criminal activity. They also continue to kill. On Sunday night, Ian Ogle died after a savage attack in east Belfast. His killing has been blamed on members of the UVF. On Tuesday, four men were each sentenced to a minimum of 15 years in prison for the murder of Colin Horner in Bangor in May 2017. Police have linked that killing to an ongoing feud within the UDA. 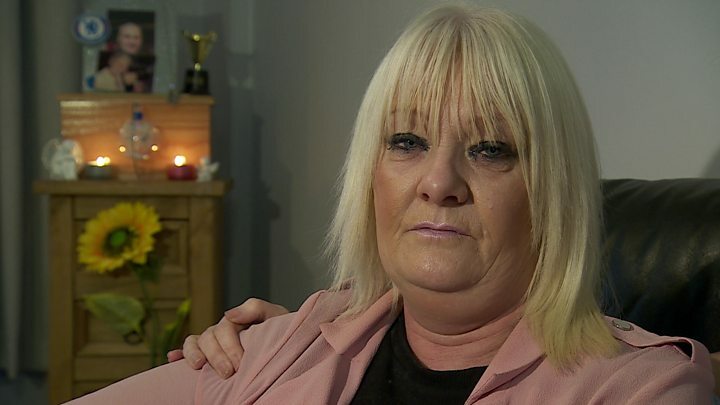 Mr Horner's mother has said he was killed because he wanted to leave the organisation - she has pleaded with young loyalists not to join paramilitaries. "Any young boys who think it's great to join these paramilitaries, please don't," she told BBC News NI. "They don't destroy lives, they demolish lives." 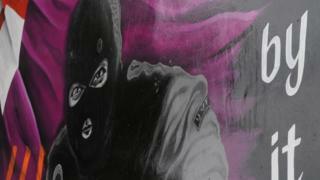 While some join the UDA and UVF voluntarily, police say many are forced to join in settlement of debt they owe. "That can start with something as simple as debts, whether that be money that's been borrowed or in some cases drug debt," explains Mr Singleton. "Once you fall in debt to these organisations they determine how they want to see that repaid. Once in, members find it virtually impossible to leave and live in fear of being shot or badly beaten if they do, he adds. "We would view many of the paramilitary-style attacks that we see as forms of coercive control being meted out by these organisations. He disputes claims that while police know the identities of many members of the groups, they do not do enough to arrest and convict them. "There is a distinction and there has to be one drawn between having information and intelligence and actually having evidence that can place people before the courts and can see them brought to justice," he explains. "So yes, while we might have an idea who members of paramilitary organisations are, what's critical for us is actually obtaining the evidence that's necessary in order to have them effectively brought before courts and sentenced and convicted for the offences they've committed." Det Supt Singleton says the task is made more difficult because many people are still afraid to provide evidence about paramilitary activity. "We have to be realistic about this - there's still a culture within Northern Ireland that possibly the only thing more reprehensible than a terrorist is an informant. "That is a legacy of the conflict that we've had here, it's a legacy of that negative narrative. "I think that until we tackle that as a society, we as the police and other law enforcement agencies are always going to have challenges in terms of investigations against these paramilitary organisations."